Saudi Arabia hopes to showcase a new more liberal face of its austere version of Sunni Islam at an unprecedented forum that will bring together Muslim, Christian and Jewish clergy in Spain next week. 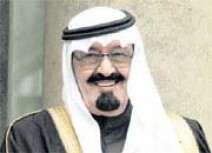 The three-day meeting will be opened next Wednesday by the Custodian of The Two Holy Mosques King Abdullah bin Abdulaziz of Saudi Arabia, who won the backing of Sunni and Shia clerics to go ahead with the ground-breaking meeting in Makkah last month. The interfaith idea has sparked interest from Jewish and Christian groups around the world, coming after the Saudi King held talks with Pope Benedict at the Vatican last year. It marks a new direction for Saudi Arabia, whose "Wahhabi" Islam has come in for criticism internationally after the September 11 attacks of 2001 in the United States, Riyadh's main ally and guarantor of security since the 1940s. Fifteen of the 19 Arabs who killed some 3,000 people were Saudis, acting in the name of Saudi-born Al Qaeda leader Osama bin Laden. Since then, Saudi rulers have embarked on a series of reforms to improve the image of a system in which the Saudi royal family rules in alliance with clerics who are given free rein to administer Islamic Shariah law as they interpret it. Abdulaziz Al Gasim, a pro-government reformist cleric, said the conference was part of efforts to reform Saudi Arabia's religious establishment, following changes in school textbooks, removal of radical preachers and planned judicial reform. "These are big changes that you can't see the effect of right now but you will see it over the long term," he said, citing a break on the clerics' hold on society through the Internet and satellite television revolution in the Arab world. "King Abdullah believes there is a problem with the traditional religious establishment," he said. Saudi clerics have traditionally viewed other Muslims, particularly Shias, as infidels and shunned contact with non-Muslims and many foreign social and cultural influences. The Madrid meeting is expected to include not only Shias, Christians and Jews but figures from outside the major monotheistic religions such as Buddhists. Saudi media have said the Vatican's top inter-religious dialogue figure Cardinal Jean-Louis Tauran, Israeli and American rabbis, and intellectuals and writers such as Francis Fukayama and Karen Armstrong will attend. But a Riyadh-based diplomat said the wide net being cast regarding invitees, even those from Saudi Arabia, suggested there was significant opposition among Saudi clerics. "It's an international event with no potential for domestic reverberations," he said, adding that few members of the government-appointed Higher Council of Religious Scholars have indicated they will attend. He said the list of invitees was governed by the desire to find Saudis who know the West and speak English rather than enjoy a reputation for knowledge of Islamic theology. Saudi Shia dissidents also complain, saying only a token number of Shi'ites from around the world were invited to the preparatory meeting in Makkah last month. A group of Saudi clerics recently issued a statement describing Shi'ism as having "infidel precepts", in what was seen by some observers as a shot against the interfaith plan. Hassan Al Maliki, an educator who helped remove some language against "infidels" in the Education Ministry's school curriculum, said clerical opposition to the conference was weak. "Some in the Wahhabi establishment are saying in sermons and on the Internet this is a concession," he said. "The opposition is not strong, if the ruler wants it to happen it will." A senior diplomat said the reality of entrenched clerical conservatism effectively reduces the interfaith dialogue to a public relations exercise.